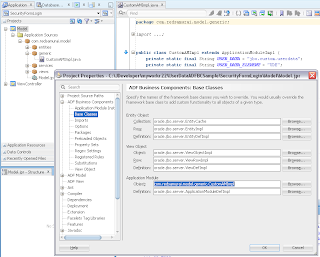 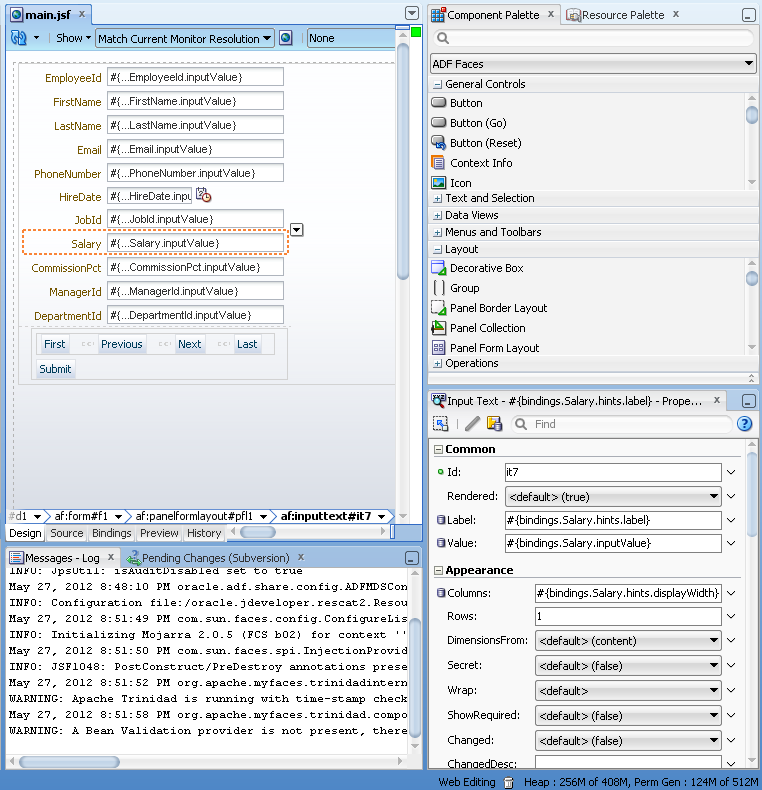 There is new functionality available in ADF 11g R2 - ADF Model layer validation. 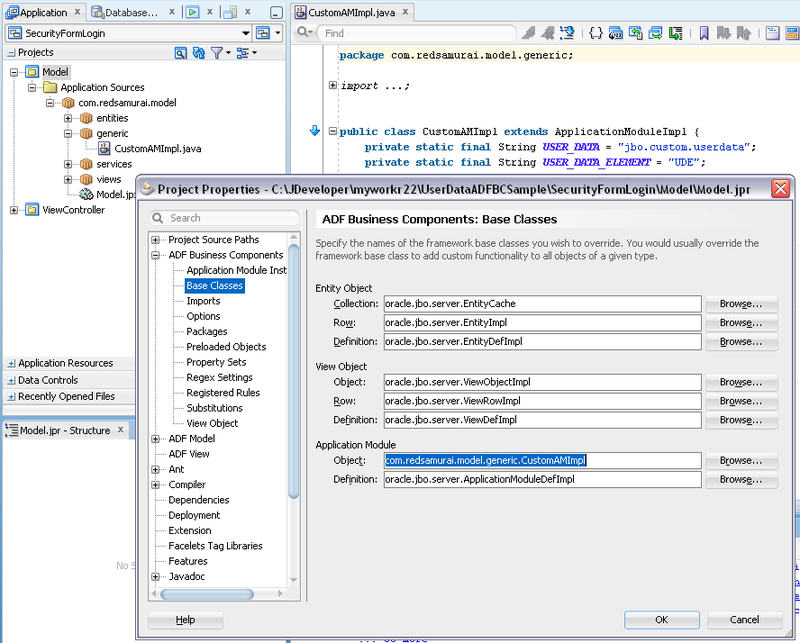 In the most of the cases, we define validation in ADF directly inside ADF BC, on Entity objects. 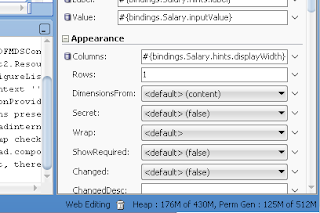 Depending on the use case, not all fields rendered on UI can be based on ADF BC attributes. 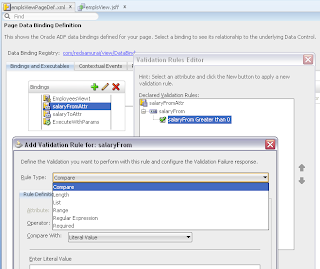 We can define validations inside Page Definition for any attribute, but specifically it can be useful for transient attributes defined directly in Model layer and displayed on UI. 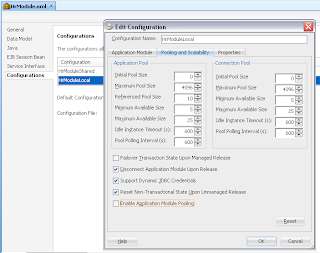 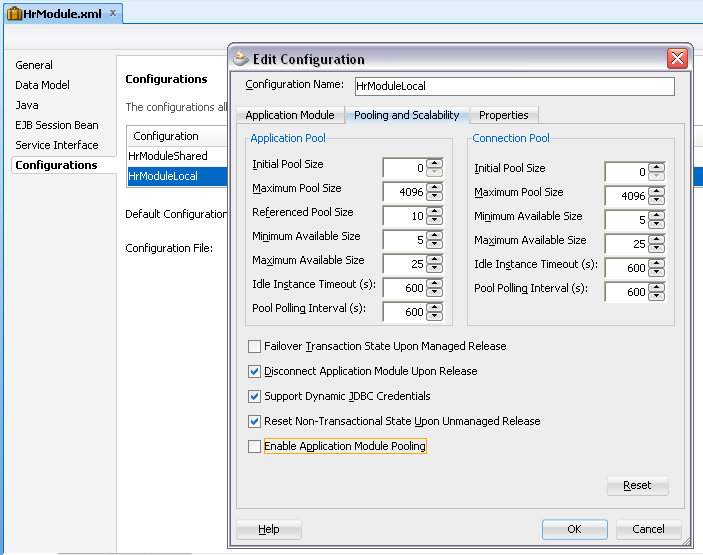 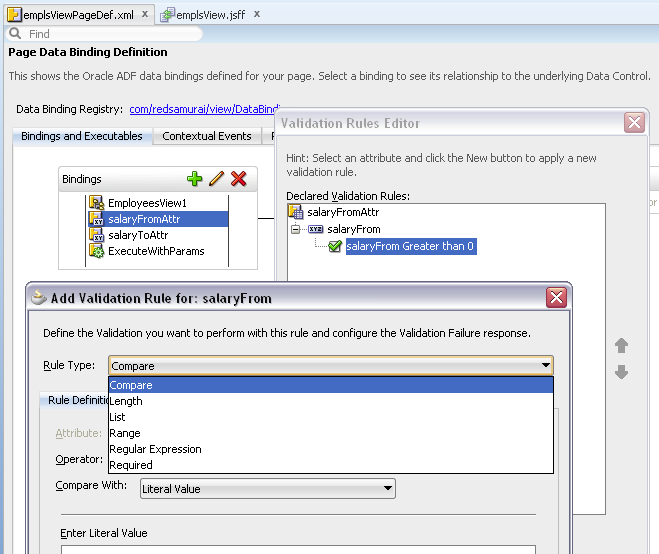 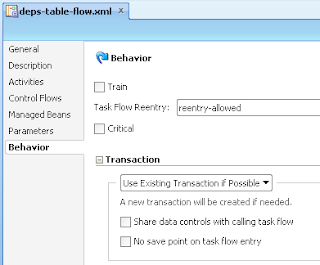 This allows to minimize Java code to control business logic validation for transient fields defined in UI. 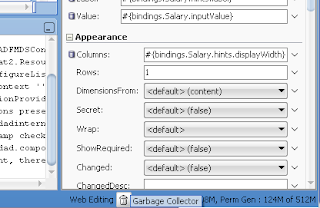 In this post I will describe how to implement UI fields to capture values for ExecuteWithParams operation and apply Model validation for these fields. 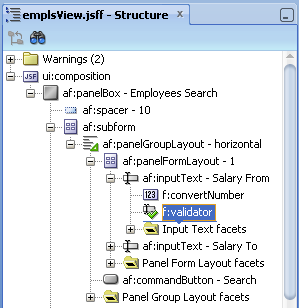 Sample application - ADFModelValidationApp.zip, is designed to demonstrate why ADF Model layer validation concept is useful. 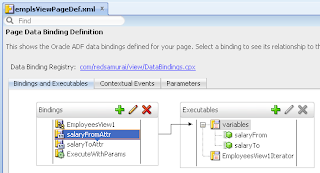 Example is based on the concept of transient variables defined in Page Definition, read more here - Page Definition Variables to Store Temporary Page Values. 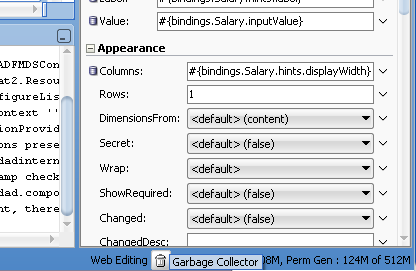 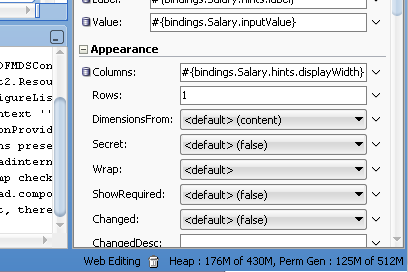 I have implemented View Criteria to search based on Salary attribute in range. 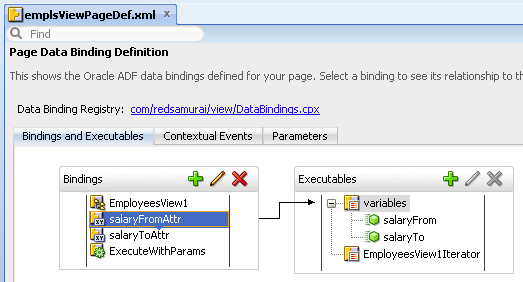 If you analyze SQL execution, you will see there is difference between ADF form and ADF table rendering. 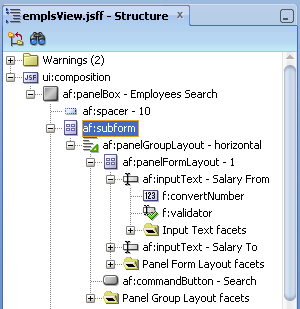 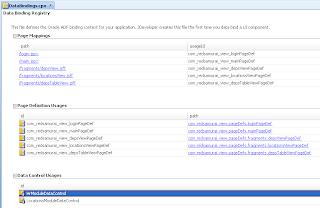 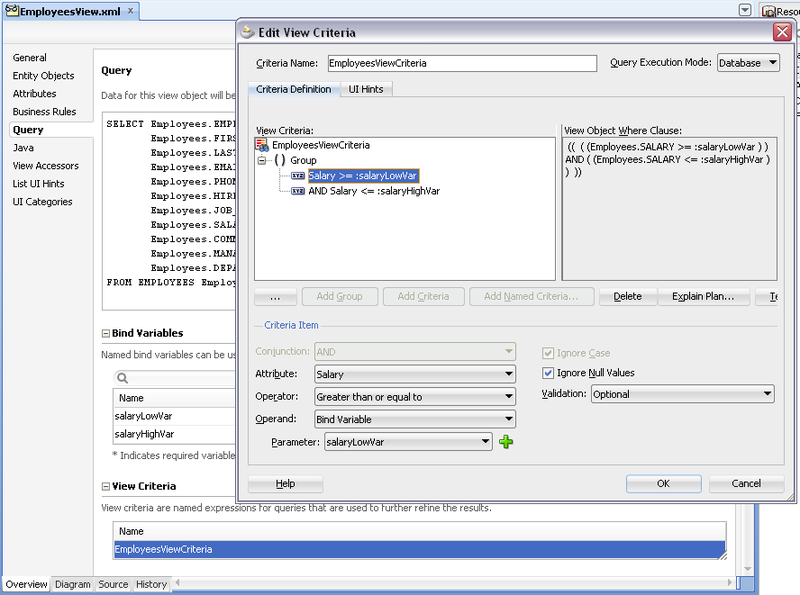 When rendering ADF form - there is one SQL statement executed, to retrieve data. 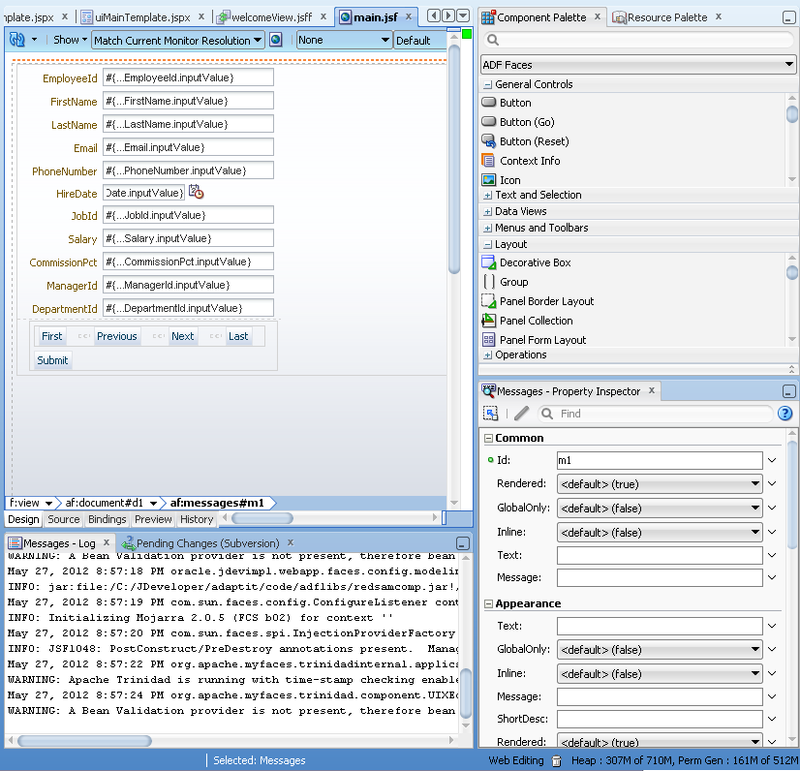 Things are a bit different for ADF table - framework executes two SQL statements while rendering ADF table. 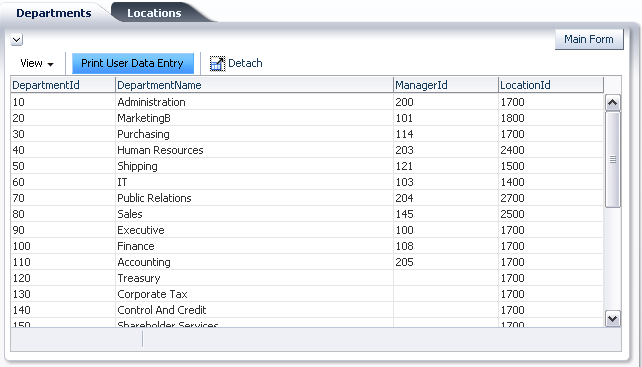 First it executes SELECT COUNT to retrieve number of rows to be returned and only after that it executes actual SQL statement to bring data. 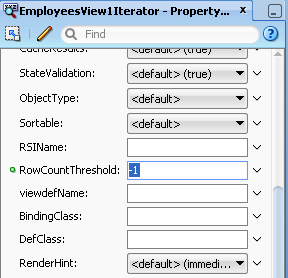 ADF needs to know estimated row count, in order to render table scrollbar properly. 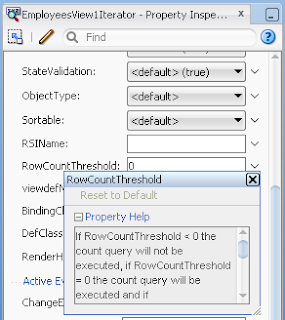 Perhaps this part can be optimized by ADF team, they could count retrieved rows based on fact (based on SQL to retrieve rows), without executing initial SELECT COUNT. 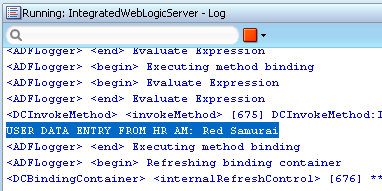 However, if you want to optimize ADF table rendering and disable initial SELECT COUNT execution - there is a way, I will describe it now (thanks to my Red Samurai colleague - Florin Marcus, who figure it out). 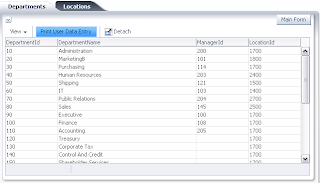 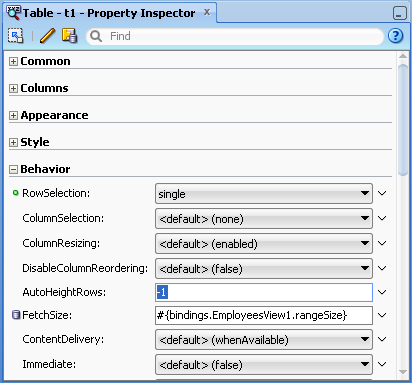 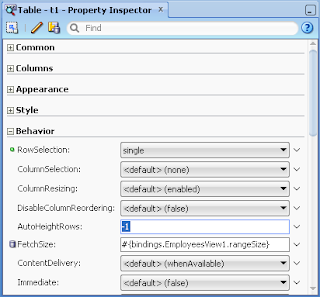 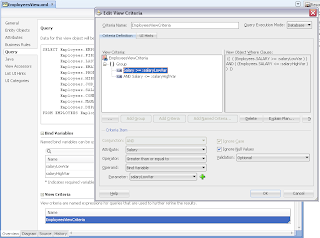 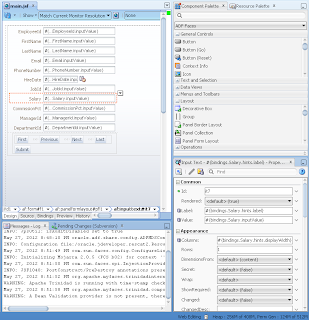 Download sample application - QueryOptimizationTableApp.zip. SELECT COUNT execution might be quite slow, depending on data structure - it can be good optimization technique to disable it. 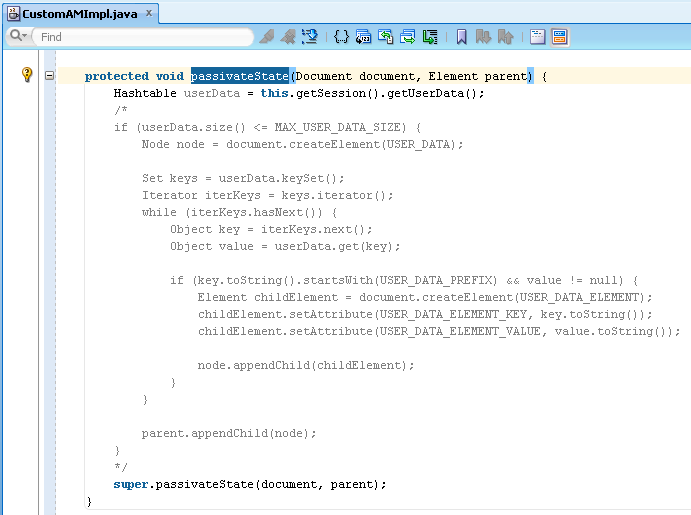 But as always, there is no golden rule and all depends on specific use case and requirements. 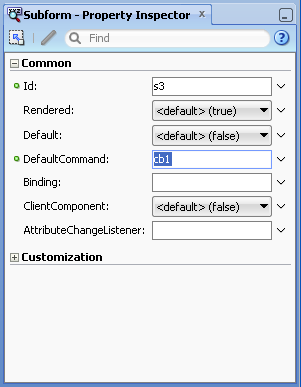 Its important to know tuning techniques and apply them smartly. Where on the higher level we have user preferences variables stored in HTTP session. 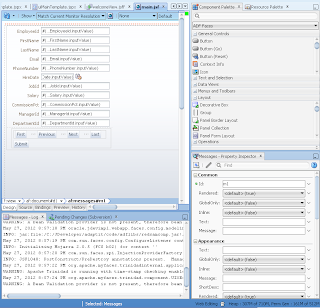 For each Data Control, where we want associated Application Module to be initialized with custom variables for User Data, is defined custom Data Control factory class. 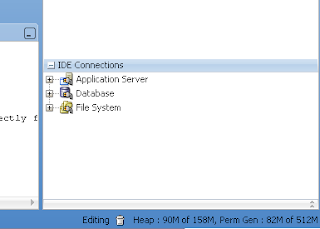 Data Control factory class is calling generic Application Module implementation class, where it invokes generic method to populate User Data. 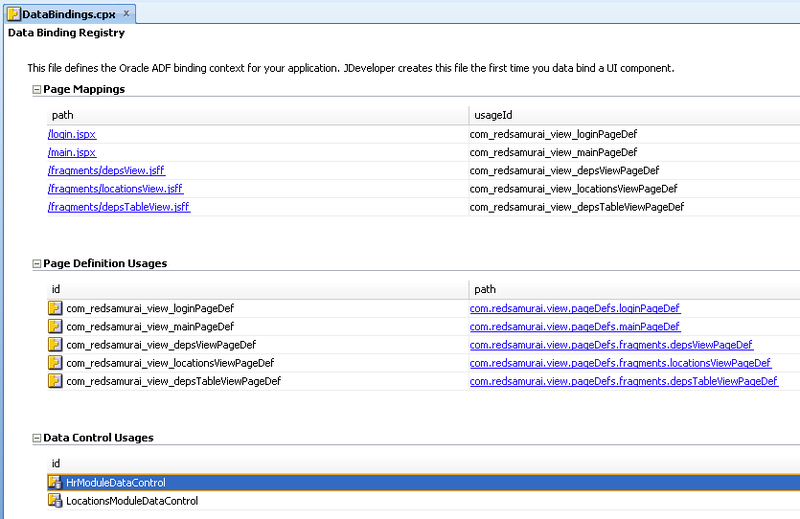 Every AM extends from generic Application Module implementation class - this means it gets User Data set. 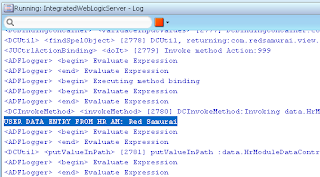 There are standard methods for passivation and activation overriden inside generic Application Module implementation class - this allows to preserve custom User Data between passivation/activation requests. I will describe now, what happens behind the scenes - how this solution works based on proposed architecture. This mean, there is new fresh AM instance created of the same Application Module. 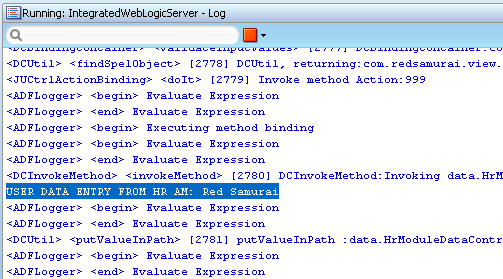 But, because setSessionCookie(...) method is called - user data gets initialized for that new instance. 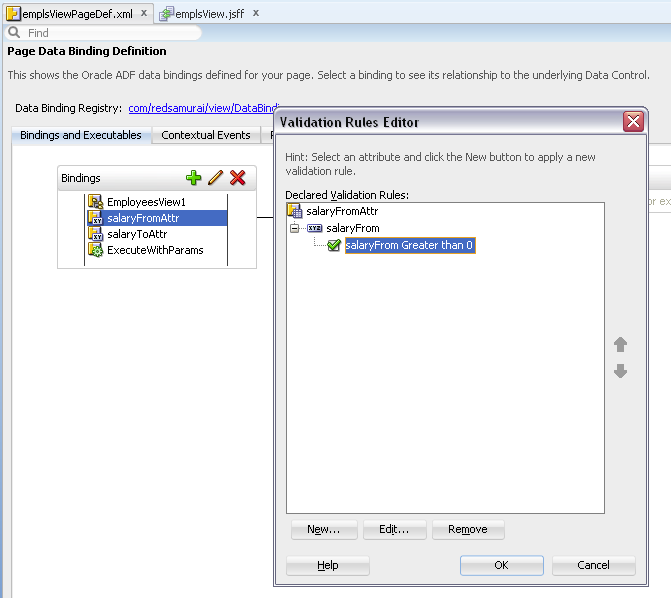 User data can be initialized not only during login process, but during session lifetime as well.